Integrated PDF viewing, management and conversion interface. Use the Area select tool and mark just the area you want converted. 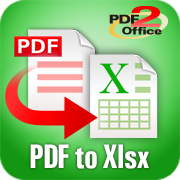 Recover the PDF content for further re-use.